What’s certain though is that a powerful alien race known as the Combine were drawn to Earth by Portal Storms initiated by the Resonance Cascade and completely defeated all Human Resistance in a mere seven hours. Now they have practically enslaved all of humanity, going so far as to set up devices to generate a field that makes reproduction impossible. Dr. Breen is a collaborator who serves the Combine as the puppet ruler of the Earth from the towering Citadel at the heart of City 17, in exchange for a comfortable life. 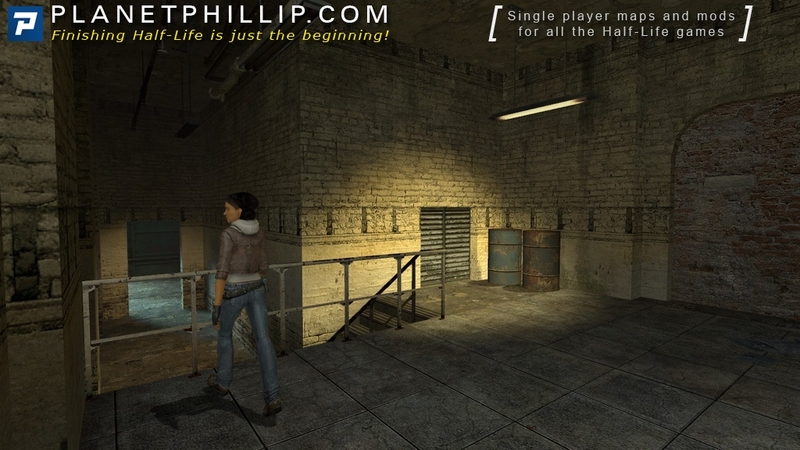 Kleiner, Barney and Alyx are members of an underground resistance movement dedicated to freeing humanity from the Combine’s grip, and Gordon subsequently becomes a prospect member. It is decided that Gordon and Alyx should be teleported to the laboratory where Alyx’s father, Dr. Eli Vance, is heading the resistance’s scientific research operations. 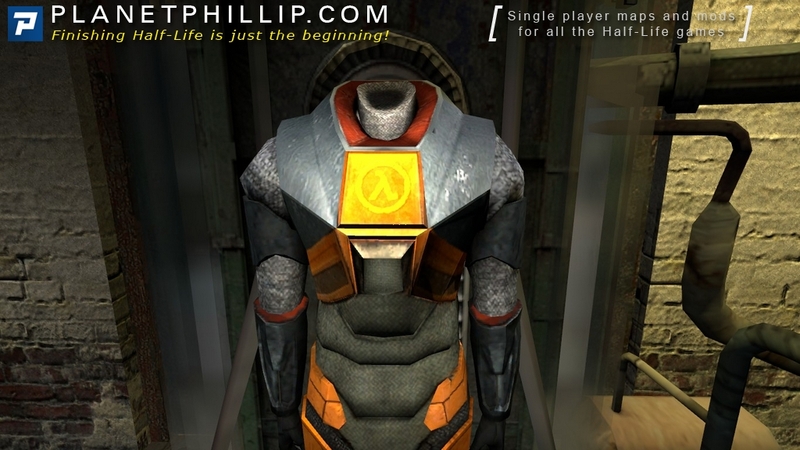 After meeting Kleiner’s pet headcrab, Lamarr, Gordon receives the Mark V HEV Suit that saved his life so many times during the Black Mesa Incident and Alyx is teleported to Black Mesa East successfully. 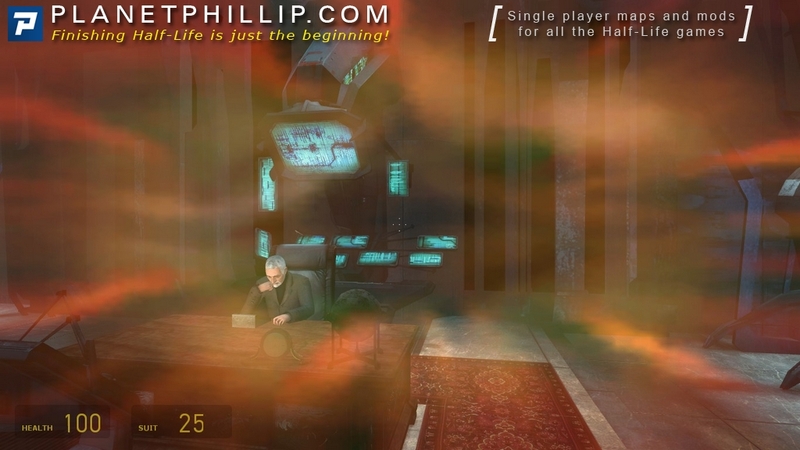 When trying to teleport Gordon however, Lamarr leaps onto him, causing the machine to malfunction and teleport him to various random places, including a desert, twice at Black Mesa East, the middle of the ocean (where he is almost eaten by an Ichthyosaur), and even Breen’s office in the Citadel. 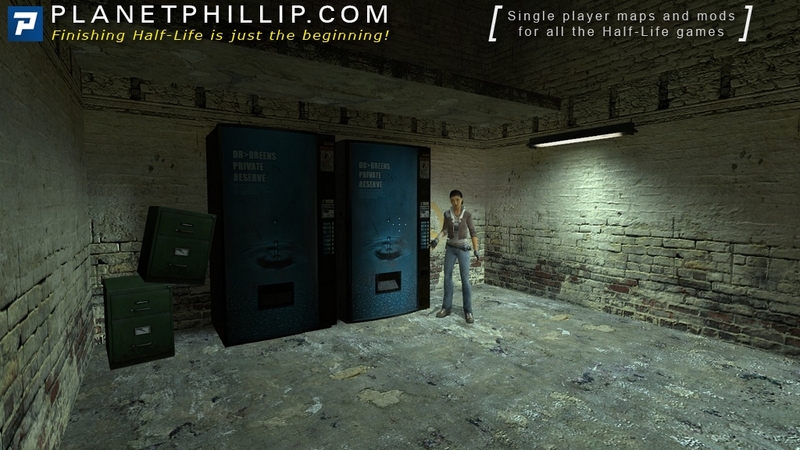 Finally, ending up outside the lab where he started, Gordon is forced to go on foot to Black Mesa East by himself. 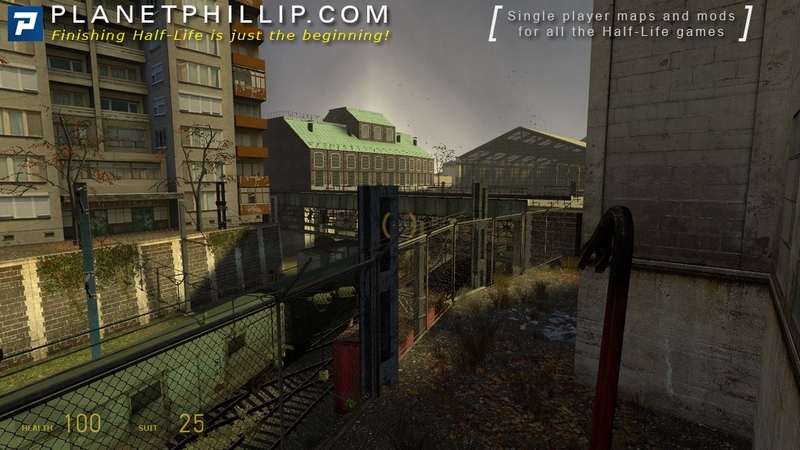 Before he leaves, Barney gives him the infamous crowbar Freeman used at Black Mesa, telling him that he needs to travel through the extensive canal system of City 17 to get to Black Mesa East. 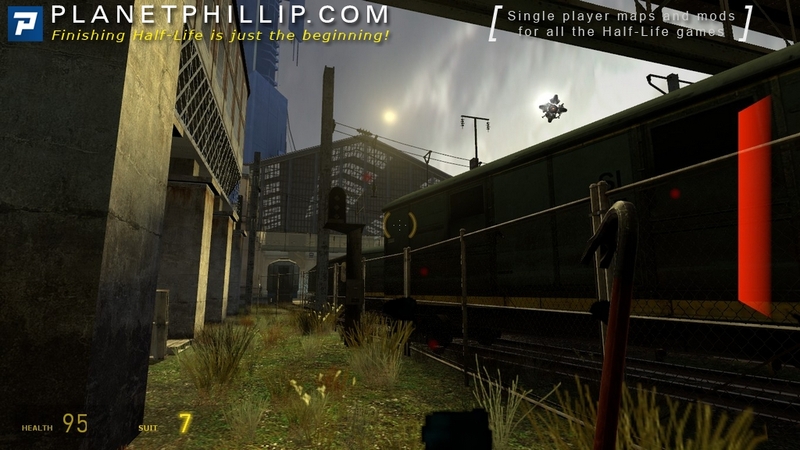 If the player were to cheat and start the game with HEV suit and all weapons, this chapter will not work. 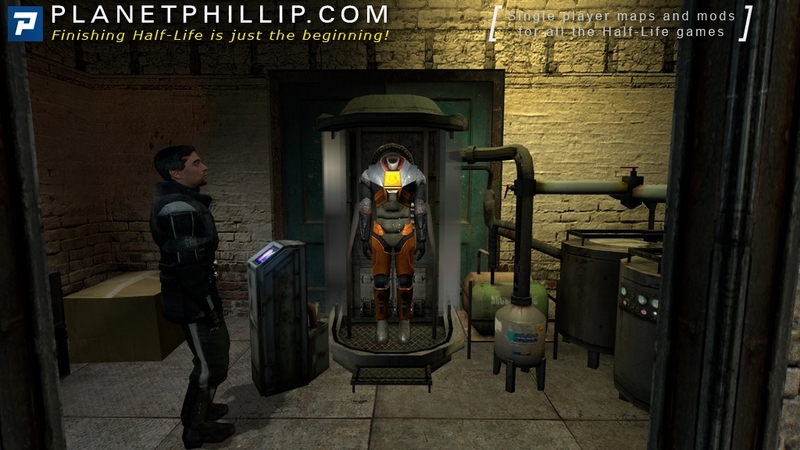 Dr Kleiner, Alyx and Barney just stand around waiting forever for Gordon to put on the hazard suit. 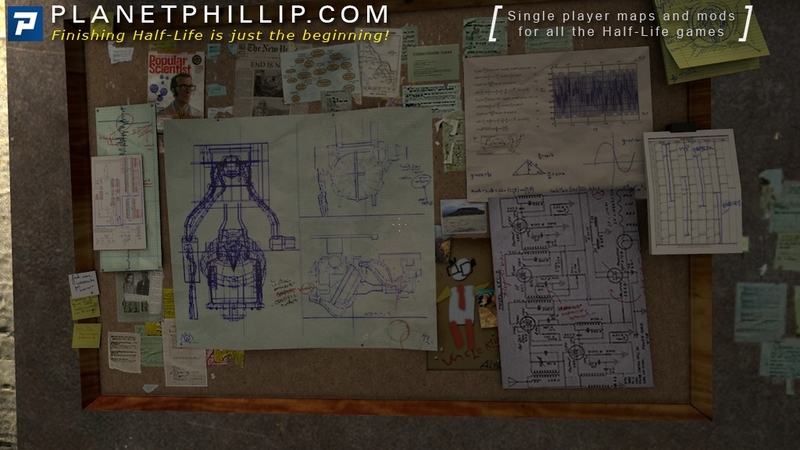 Also, if the player enters Kleiner’s lab without the HEV suit and takes it from the lab before he is supposed to (using noclip), when Gordon gets into the teleport chamber, Alyx will not come and will ask Gordon to come, instead of her coming. 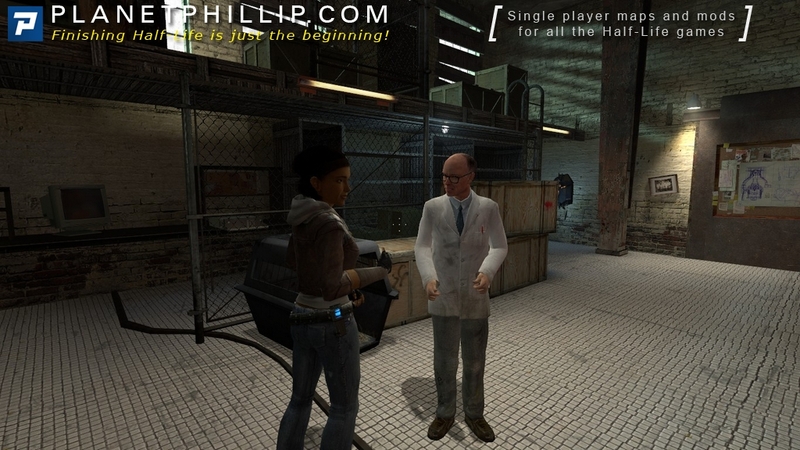 If the player kills Lamarr before she jumps up onto the platform, Dr. Kleiner will carry on talking to Lamarr as if she was still there. 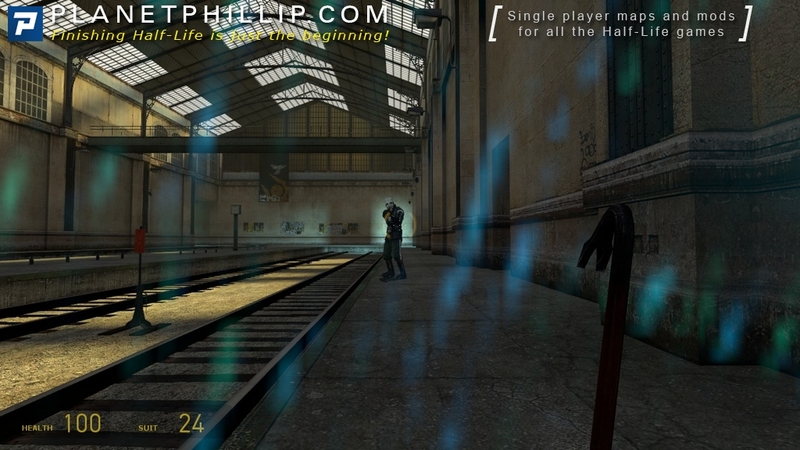 Also, during the teleport sequence, if the player had any weapon it is actually possible to kill Dr. Breen while he’s speaking to Gordon, leaving the player unable to advance to the other maps. 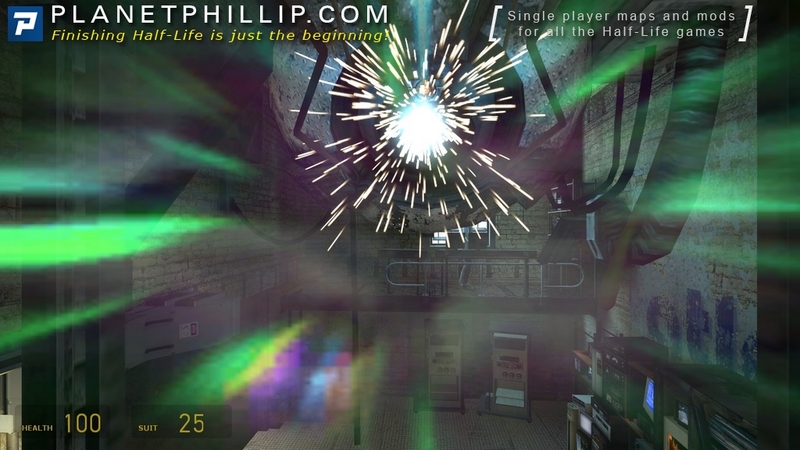 It is possible to move during the teleportation sequence, albeit very slowly. After Gordon’s teleportation attempt, it is not possible to explore Dr. Breen’s office or the water near the Ichthyosaur using noclip. 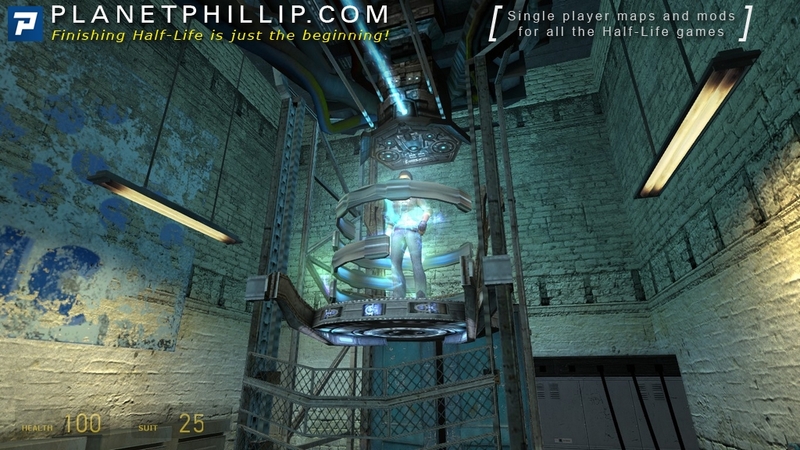 Any attempt to enter will land the player back outside the lab. As soon as Barney has walked away from the CCTV cameras, if the USE key is pressed next to the screen, the G-Man can be seen briefly. 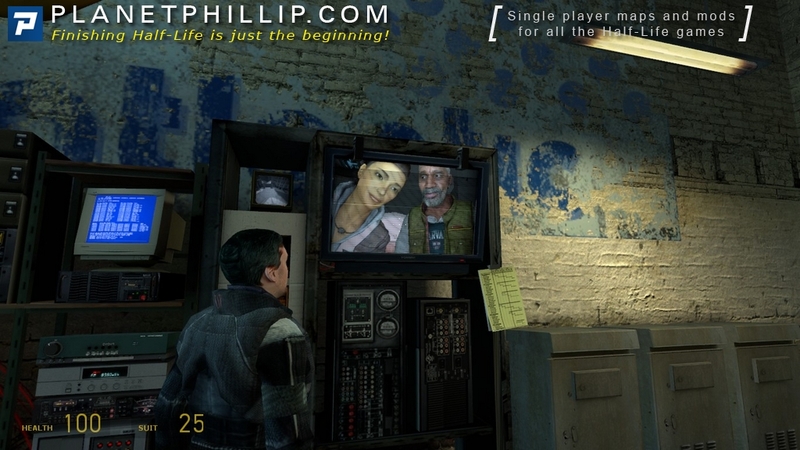 However, the player can change the camera while Alyx is there watching it. But it will not have anything to do with her, as she is seen watching normally. This thing can also be done while Barney is watching it, but it will not have any effect, even if Barney seems to be aware of the G-man. The player can explore the water map, but he can’t find the Ichtyosaur. 01. Break the monitor that’s up on the lab’s storage ledge before Lamarr can. 02. 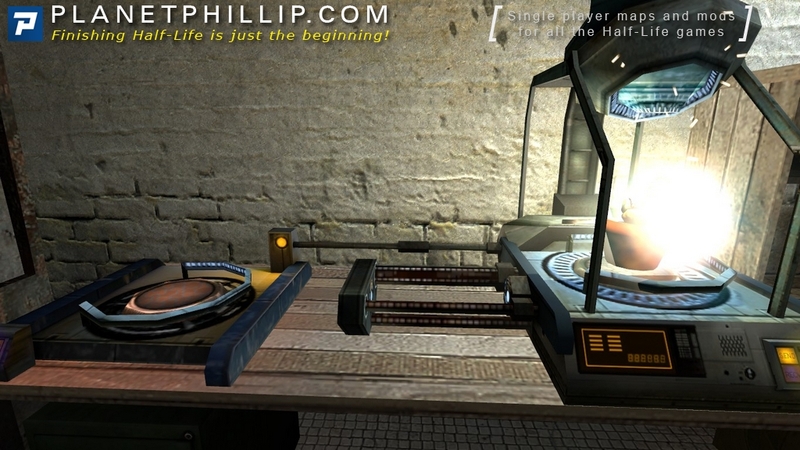 Destroy the two scanners that pester you right after the failed teleportation sequence. Thanks to Stanley E. Dunigan for supplying these challenges. [spoiler]01. You can do this by jump-tossing books at the monitor, or you can pick up the monitor that’s in the area under the ledge and use it and Lamarr’s cage to jump-crouch your way up to the storage ledge. Let’s start with the name (oh, BTW, I have added something I think is interesting regarding the name “Point Insertion” in my comment for that chapter). For those that don’t know, this notes that it is a special day and often on Christian calendars these days have their numbers in red. 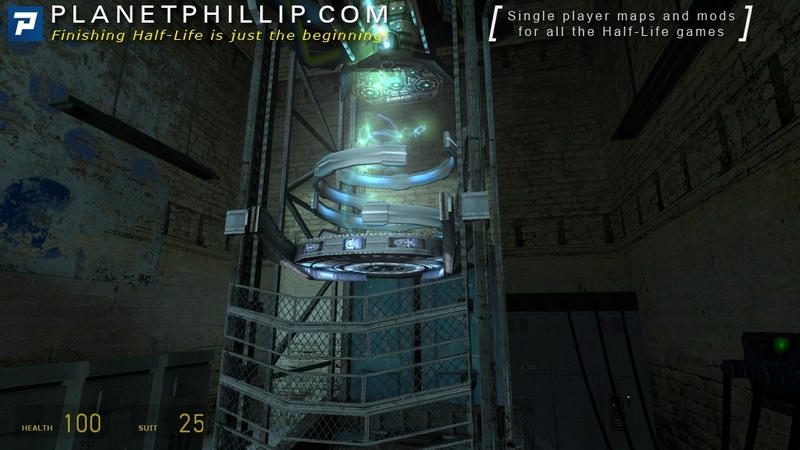 In this case it refers to the fact that are going to use the teleporter device for the first time. The first thing I noticed was that there initial area is big enough for us to explore – sure there’s nothing to find but it’s important we aren’t limited too much. We’ve been in stasis for about 20 years and it’s natural we want to run around. Of course, there’s only two reasons for this chapter: to get kitted out and learn what’s happening. As the text says from the main post, this is mostly character interaction, but we do get a bit of action later on. When I played this today, I paused here. And it was for quite a long time – maybe 5-10 seconds. I knew that the moment I stepped forward I would be hooked again and would have to see it through to the end – whatever the outcome. There’s plenty of subtle information around the lab and I am sure there are lots of little details that could be discussed, I want to focus on Barney. I know he’s our buddy and all, but don’t you think he was a little too serious with his jokes? 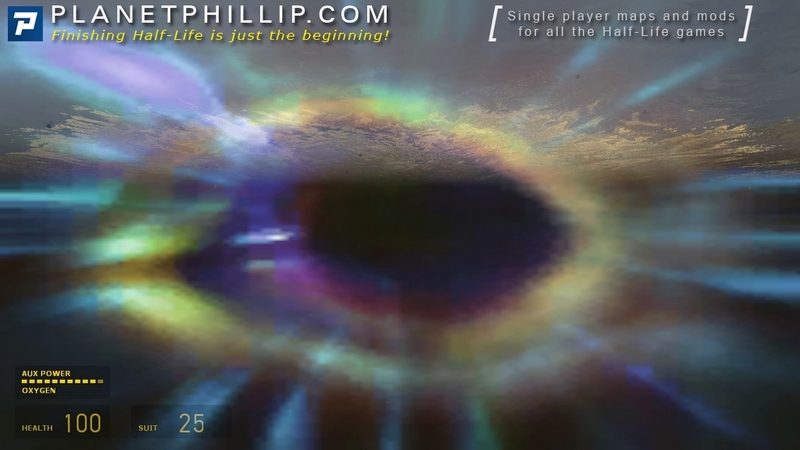 In fact, he gives you the eye when it’s your turn to get into the teleporter. Anyway, all that matter is he is there for you when you need him. Now, who couldn’t help but laugh as Lamarr jumped and caught the crow – great piece of humour. Talking of which, that cat part earlier on was a nice touch. Time to get a little more serious now, because even though we are given our trusty rusty crowbar, we can’t actual fight anything (besides a scanner or two) until the next chapter. At least, I don’t think we can. The point I am trying to make is that Valve has done another great job of forcing us along with a feeling of being chased and hounded. This is building up to out first encounter and that frustration is about to boil over. 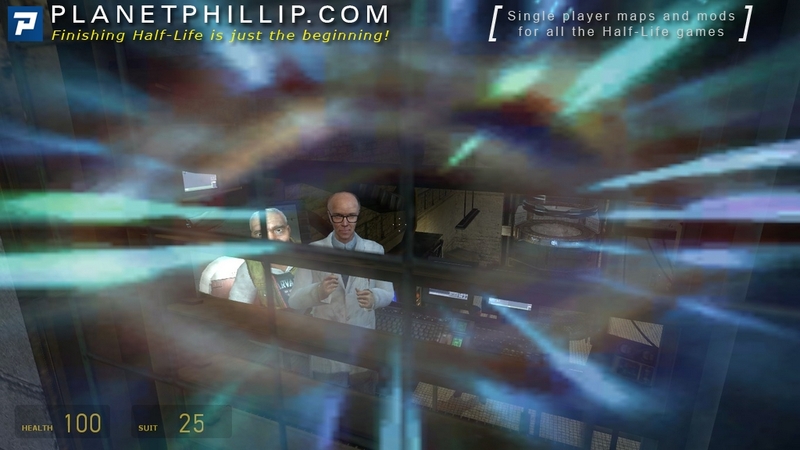 I tried everything I could to make the teleporter work properly, by trying to stop Lamarr from ruining everything so I could get to Black Mesa East faster, but I guess the game doesn’t want me to. Where did Barney get that crowbar? there are many theories about that, but my guess is that it’s just a way of saying “I got you a weapon like you were using in Black Mesa” even if it’s not the same one. You get to really see some object flying in this video, I will use this a lot later on. – Break the monitor that’s up on the lab’s storage ledge before Lamarr can. 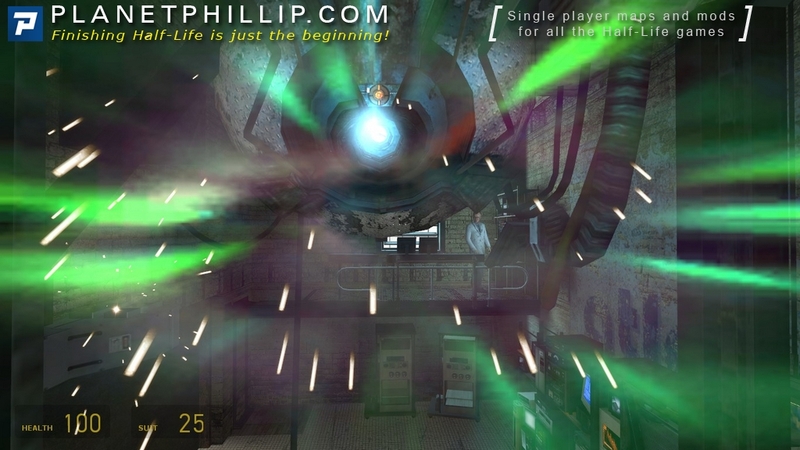 – Destroy the two scanners that pester you right after the failed teleportation sequence. Nah, didn’t even see them ._. None, could have died from fall damage near the end, but it’s a very easy chapter. It’s always a revelation, watching your videos. That’s a remarkable trick, climbing a building with a barrel, quite an exploit! Thanks, I always love feedback like that. What building? I didnt see him climb any building with a barrel. I was looking for an exploit, but didnt see one. I guess I’ll have to get in there and see if I can find an exploit. 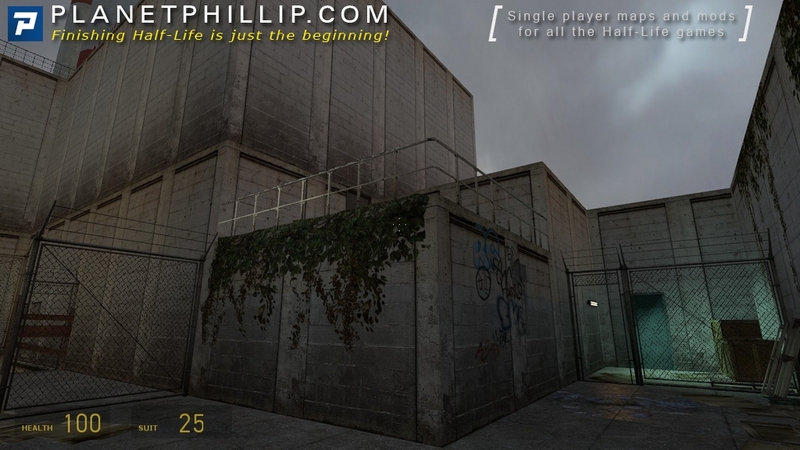 just wait for ravenholm, video is already done, and if you want to see me climb, you’ll see it. So what I want to know is, how did that bloody headcrab make it’s way back from that desert in God-knows-where to the White forest rocket base so it could screw with the Resistance rocket payload? On three inch legs with no teleport? Maybe it can fly. Damned thing is charmed..
First thought. Who is this alluring girl? And such pretty graphics! 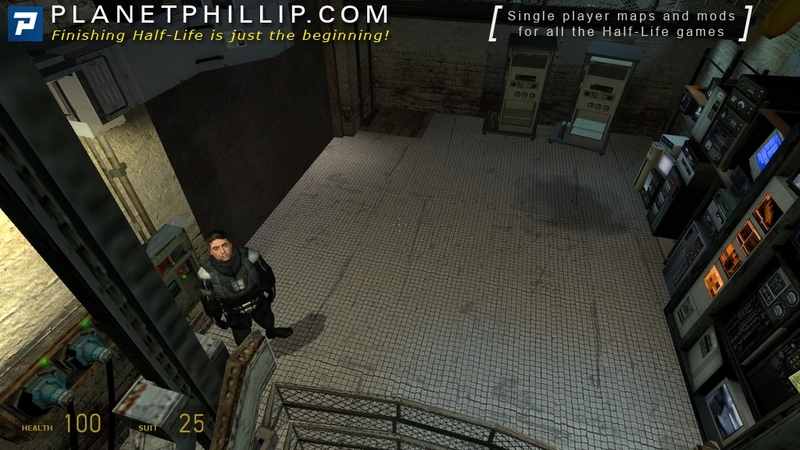 On latest replay, (standard vanilla HL2), Oh its Alyx and what clean, crisp and un-colour graded graphics. Modern filmmakers please note! I had a play with the mini transporter, checked out the monitors and had a good nose around. I still noticed new things after all these years! 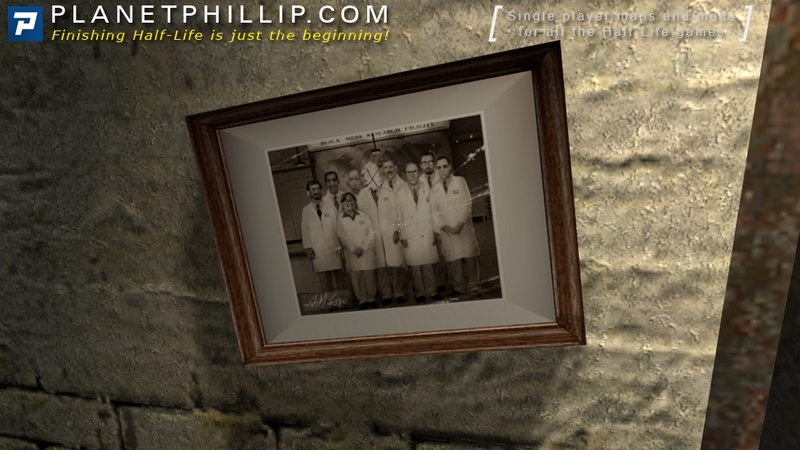 The reflections on Dr Kleiner’s glasses was new, I had not noticed it before, even when I changed PCs, and the shaking of the lab when the Combine siren sound. It is still a very creepy and ominous sound. Good ol’ Barney is there and we learn Gordon has been to M.I.T. and how to put plugs in sockets! 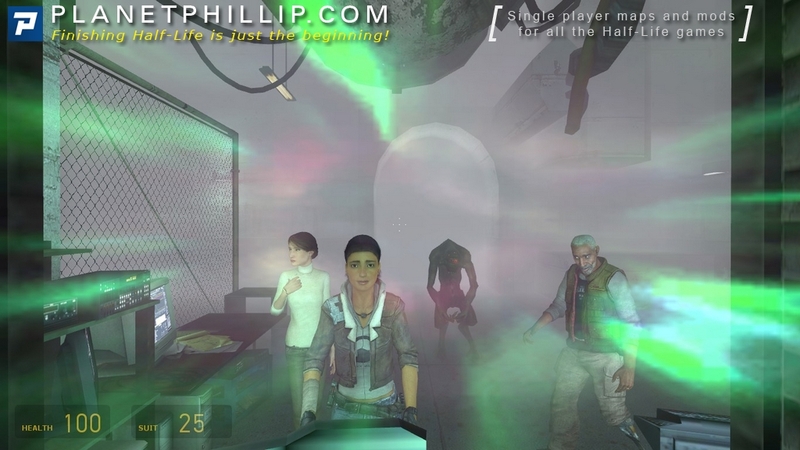 The monitor shot is still kind of amazing, like seeing a game within a game, as Alyx is whisked away to pop up on screen. 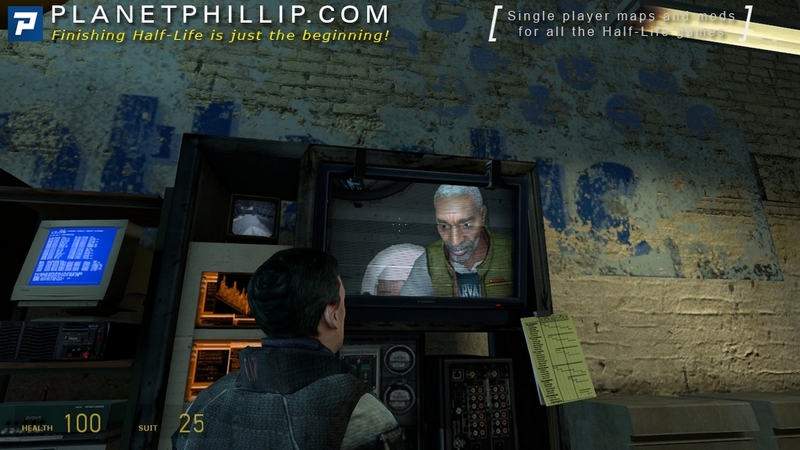 And there is Dr. Eli Vance, as I rack my brain trying to remember where I saw him in Half Life! 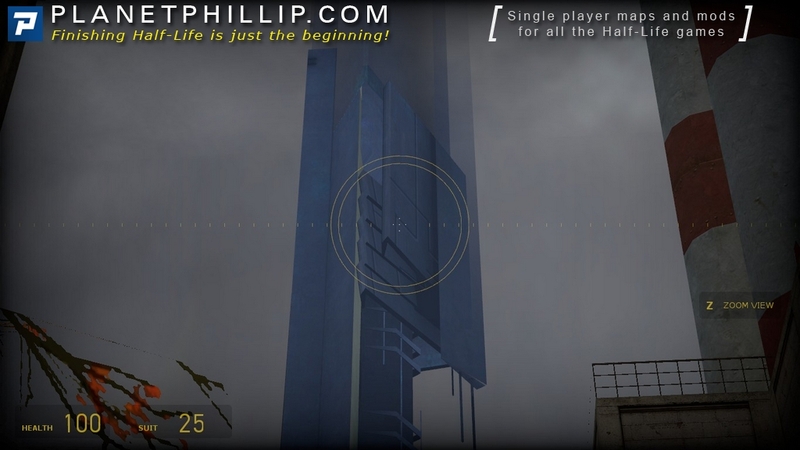 The replay adds a new dimension because we know the place Alyx has been transported to and how hard it is to get there! 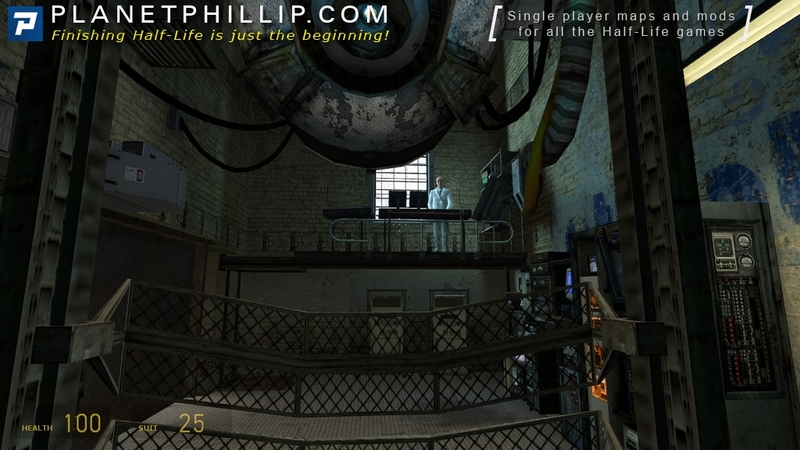 When I first played this I knew the transporter would deliver me into some kind of trouble, but the last thing I expected after the, in transit teaser show, with the scary ending, was to appear outside the labs window! I could have just walked out the door! 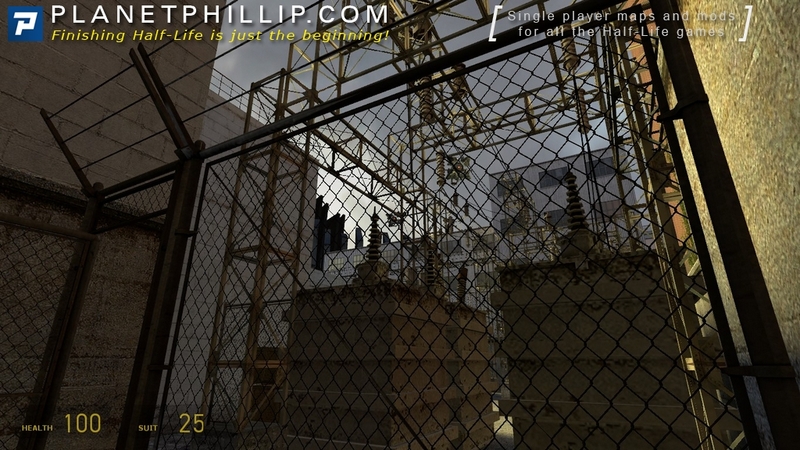 I carefully went between the power transformers because I remembered getting fried before in Half Life or Opposing Force and hit the loading corner. I heard a door open and there was Barney with “Smashy” my crowbar, I wondered where that had got to. 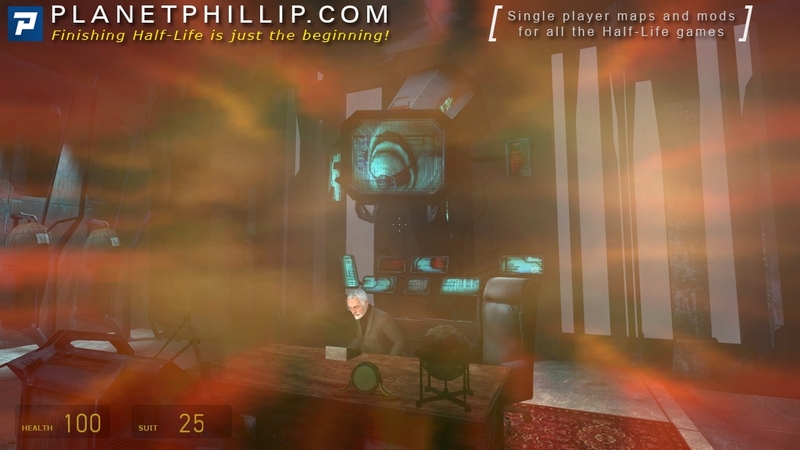 Ah the sound of smashing wood is the most familiar of the Half Life universes sounds and still brings a smile to my lips. And then the screen turns red! 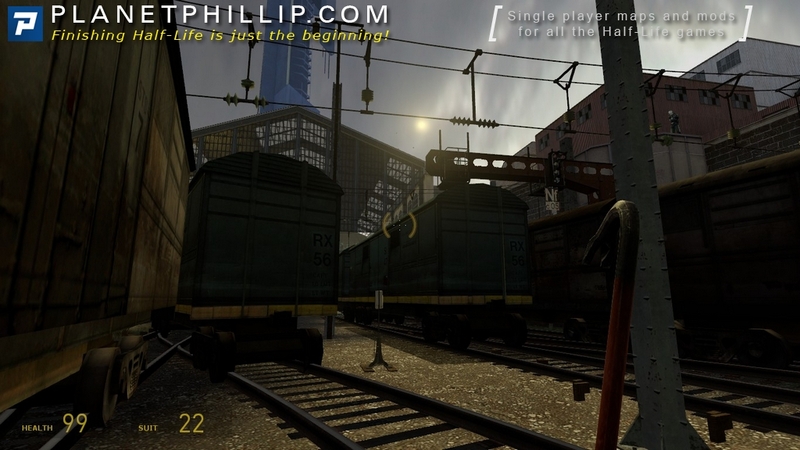 Apparently trains are dangerous in Half Life 2! 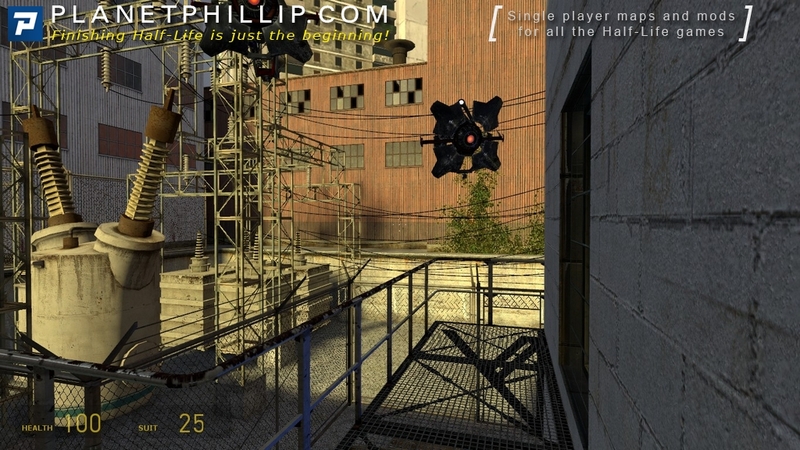 I got hit a few times, train, and many, many times, bullets trying to puzzle my way out and get my jumps on target. My recent replay was a breeze, just a jump or two under a hail of bullets and I was over the fence and smashing my way to the dark stairs. Even there I died on my first play! A transitional level really to acquaint you with old friends and the enemies lead players and to finally get you armed, sort of! 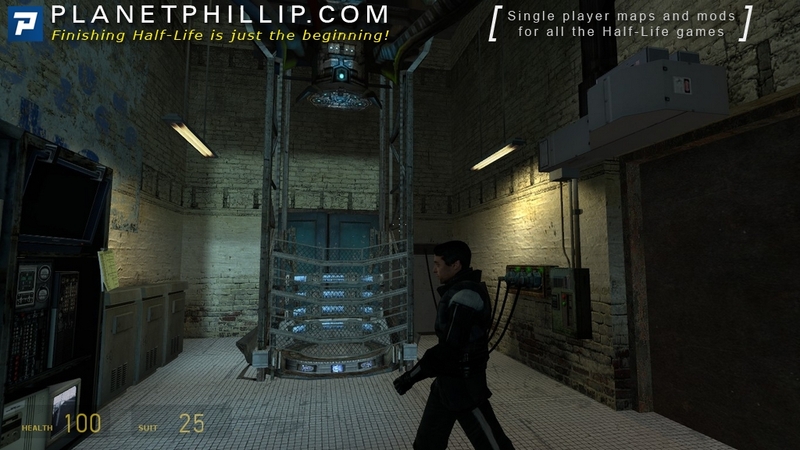 Five words or less review: Why didn’t the teleporter work! 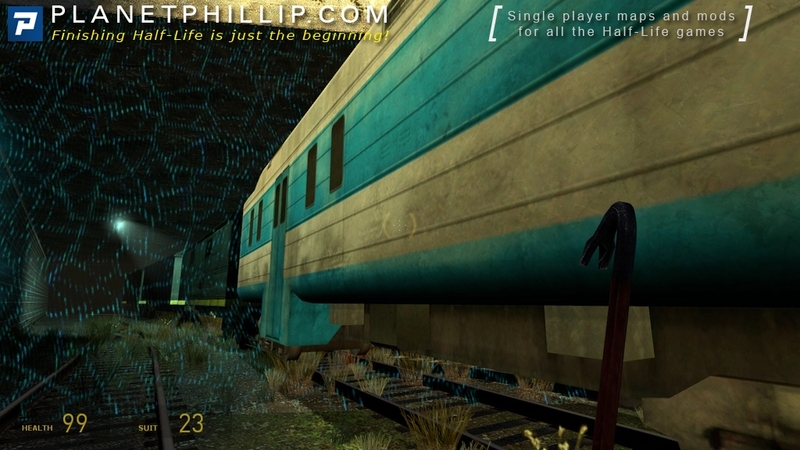 Deaths: train, train, train, bullets and the first crate! Replay was a deathless breeze! Playtime: the first time was embarrassingly long! Replay 12 mins of nostalga! The game is already start but we don’t know what’s happening. 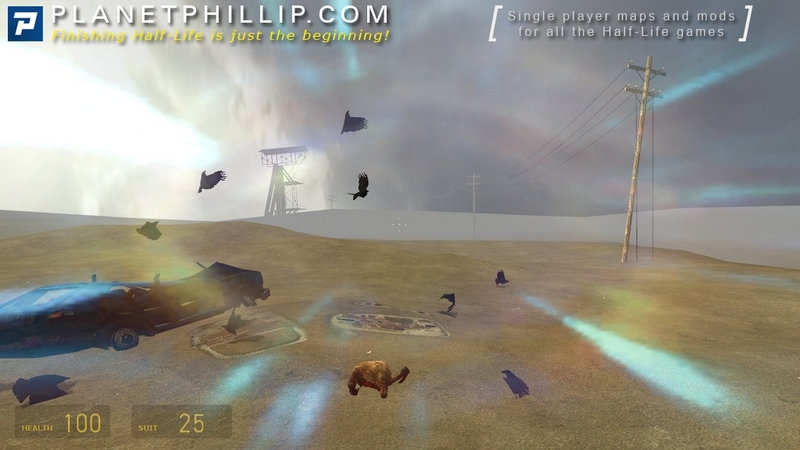 “A Red Letter Day” is designed to introduce the game scenario. Gordon must join up the Resistance as scientist and legendary warrior, but obviously nobody asked his mind, hasn’t they? This chapter essentially consist of scripted sequences and showing what we can do with Source Engine; longs scenes, filled with realistic expressions. Did you noticed the Alyx’s one during Lamarr intervention? 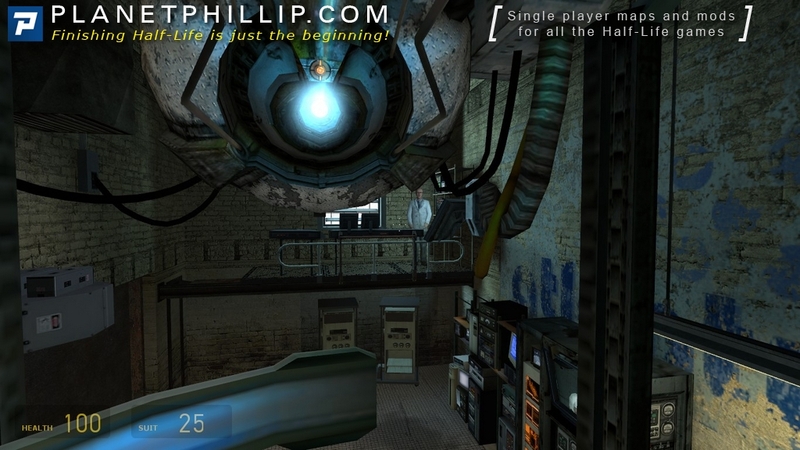 At this point, player is snowed under information about game universe, but essential is clear however; pick up HEV Suit and go to that famous teleporter. 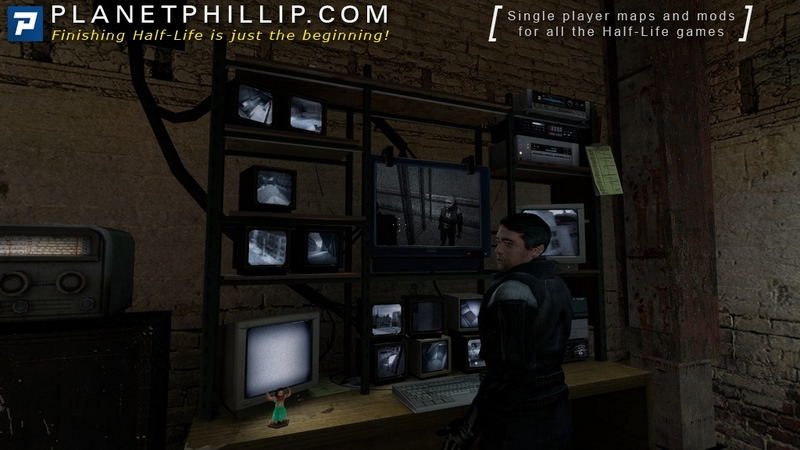 The HEV, said as Mark V type, seems to be the same that Gordon used in Black Mesa. How did it get there? 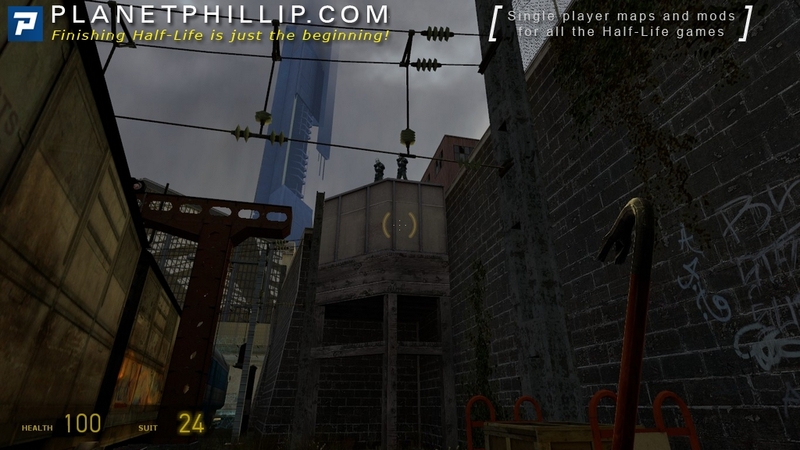 At the end of HL1, the G-Man had offer it to Gordon but probably left it near Kleiner’s location some times before HL2 events. So that Kleiner could upgrade the suit from Mark IV to Mark V and kept it waiting for Gordon’s return. After all those quiets things, action really start. Gordon have pressed a button, again. And worse, Barney did, but don’t have the requested MIT diploma! This (or maybe Lamarr) lead to chronicle Gordon’s bad luck and force him to reach Eli’s Lab at foot. While Barney give info, Gordon can observe the Citadel, that he visited one minute ago, switching on crisis mode. It’s proving that the Citadel is definitely not a conventional building but we still doesn’t know many things on it. Break the monitor that’s up on the lab’s storage ledge before Lamarr can. Why a cat ? Why not a lab rat or a human ? Science is cruel ! 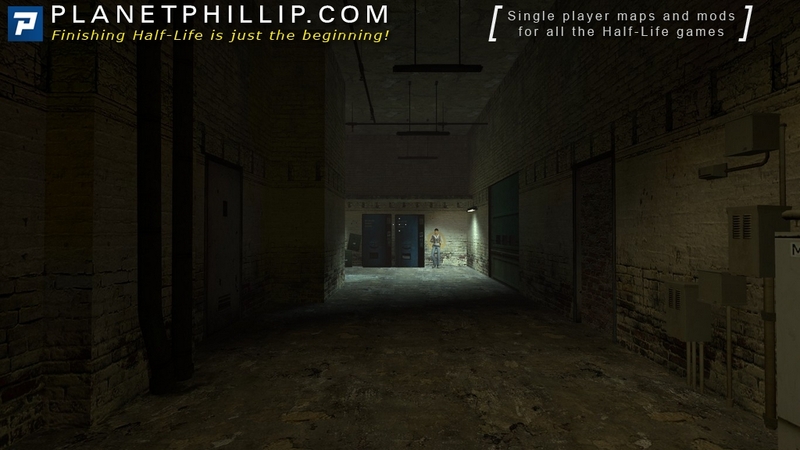 After waking up to smell the ashes last time, here’s where Half-Life 2 really begins. 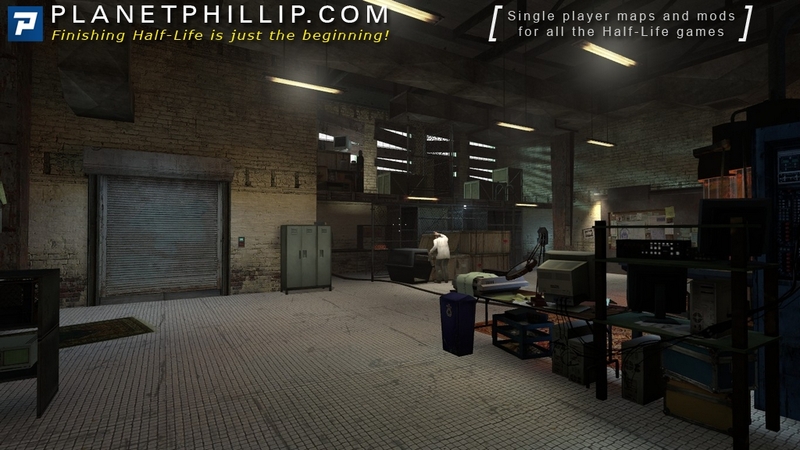 The scene in Kleiner’s lab is classic, I wish we got the chance to explore the rest of the building. The interaction between all the characters is done really well, notice how we get to know them in the space of just a few minutes. 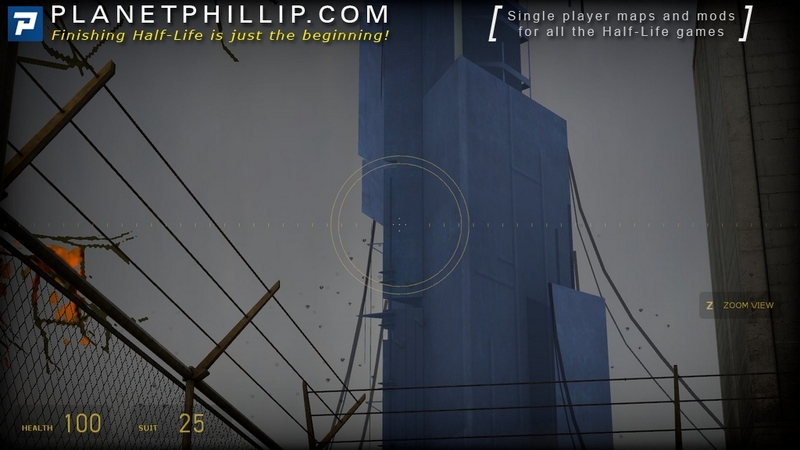 Most importantly, the chapter sets up our goal for a large part of the game – who would have thought it would be so hard to get to Black Mesa East? Speaking of which, the failed teleport is yet another highlight, especially the reaction of Dr Breen. 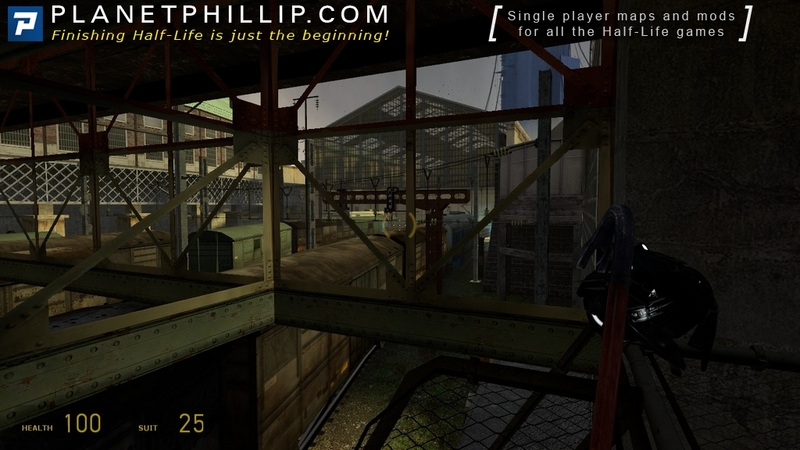 There’s not much gameplay here, but I do recall dying a lot in the trainyard the first time round – and only partly due to my then terrible graphics card. An excellent chapter that builds on Alyx as a character and gives us a proper introduction to Kleiner. I’ve always wondered why nobody seems to question Gordon’s sudden appearance after 20 years but oh well. 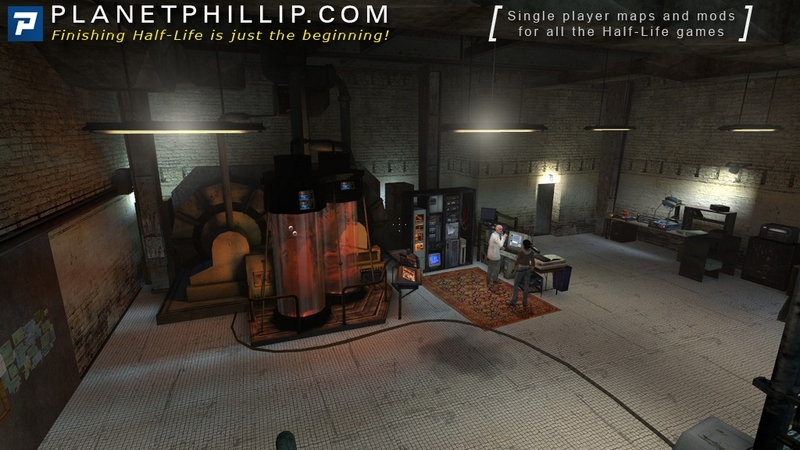 During Kleiner’s lab sequence it’s very easy to get completely distracted from the story by looking around the lab and playing with things like the mini-teleporter. The teleporter sequence is great, including the first glimpse of a docile Vortigaunt and a Combine Advisor and the Ichthyosaur part that made me jump the first time I played the game. In this chapter you are also drip-fed more information about the ‘Combine’, including being given a name to the giant monolith in the distance and are finally reunited with your trusty crowbar! Ah, the chapter that really begins the game. 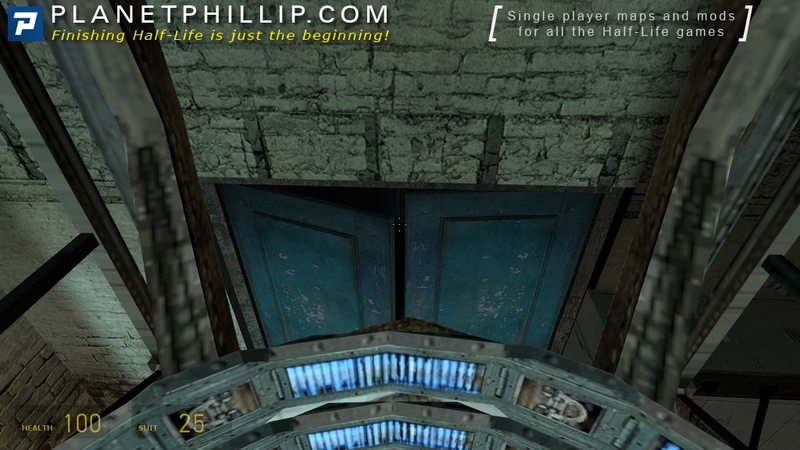 This chapter is akin to the resonance cascade in Half-Life, in that it “kicks off” the meat of the game. 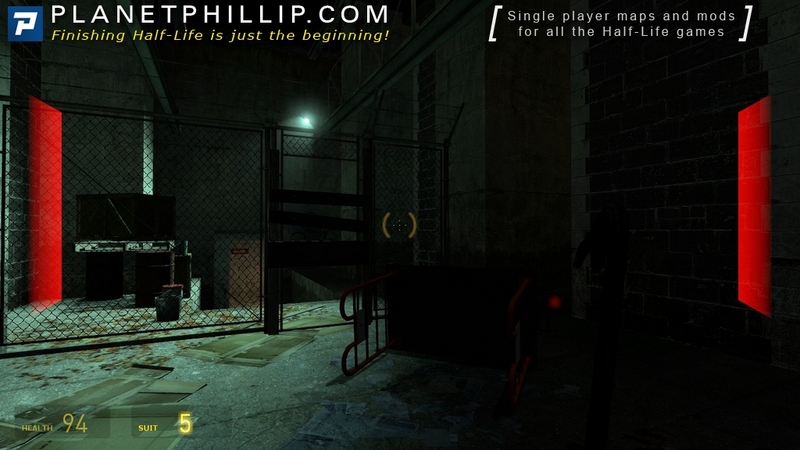 Things go wrong, of course, and your next goal is set up, much like it was in the original Half-Life. It’s no accident that the parallels are strong. 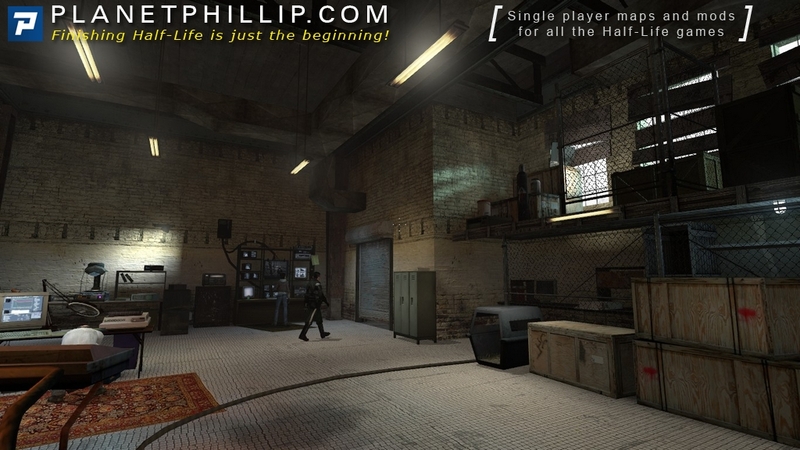 Also, this is where Valve shows off some of the features of the then-new Source engine. You get to play with the mini-teleporter, and watch the Gman on the monitor. The liquid and magnifying glass effects were cool to see at the time as well. 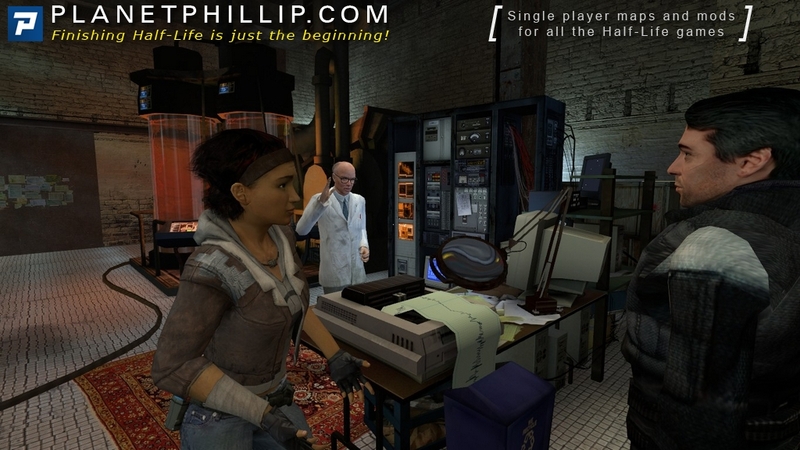 The interaction among the characters and with you is also different than anything we saw in the Goldsource engine. And finally, we see some nifty visual effects during the teleporter mishap. 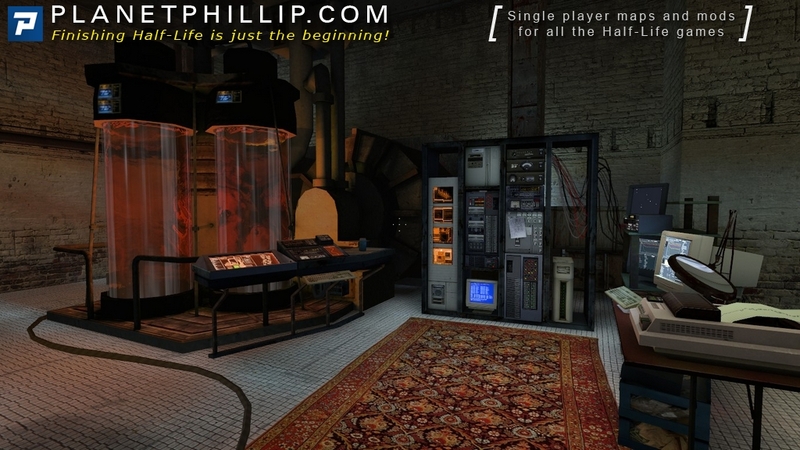 The lab itself is small but has a nice amount of detail and you get a good chance to do a bit of exploring. 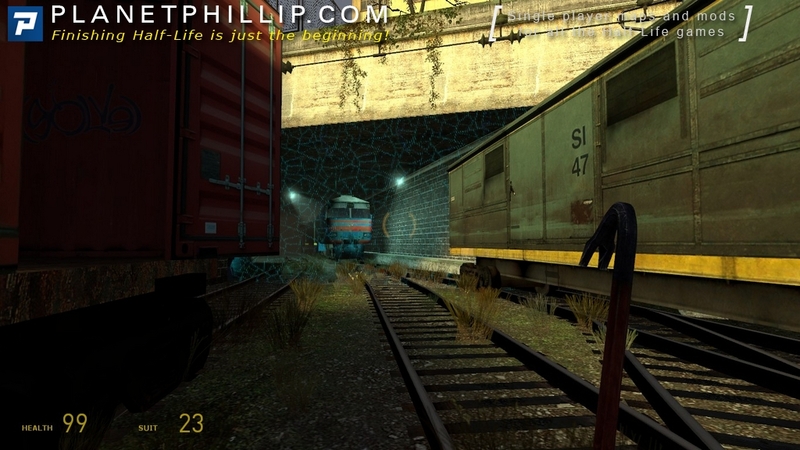 After the inevitable accident, I felt the map did a good job of creating tension again and making you feel a bit rushed in the train yard, although the danger is not really that high. It’s a nice way to link back to Point Insertion and to get you ready for real combat in the next chapter. 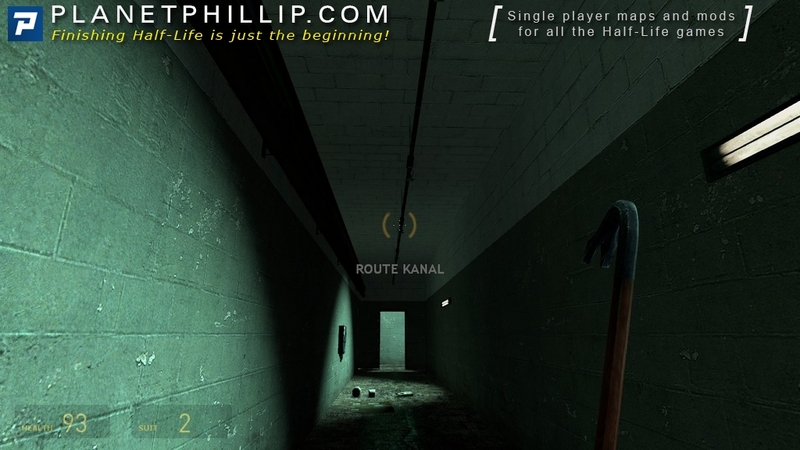 I absolutely love that a headcrab is to blame for much of your challenge in getting to Black Mesa East. 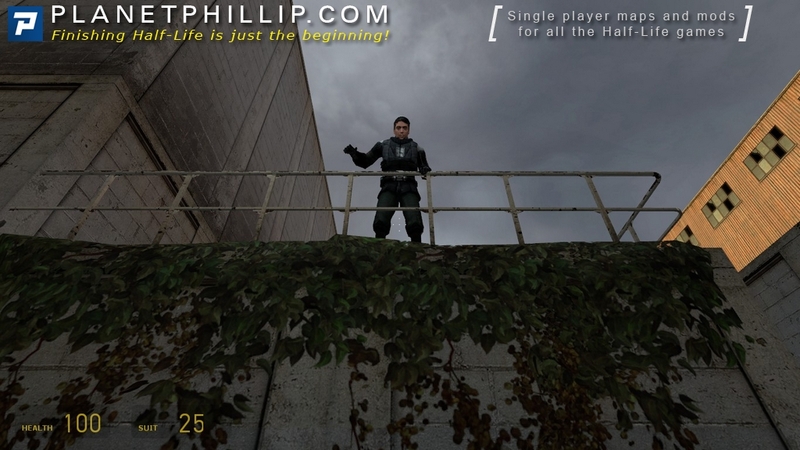 I died jumping off that dam train but I fondly remembered the mod Daylight and was weird to see this action hero behaviour was actually first implemented by Valve and am so ashamed of having forgotten about it. I also played with the small teleport hehe and I remember staring at the magnifying glass from multiple angles and is still interesting to see SOME of the weapons mimic`ing holster positions when facing a friendly AI.